COMES WITH THE REVOLUTIONARY ALPHA OPTICS REFLECTOR. 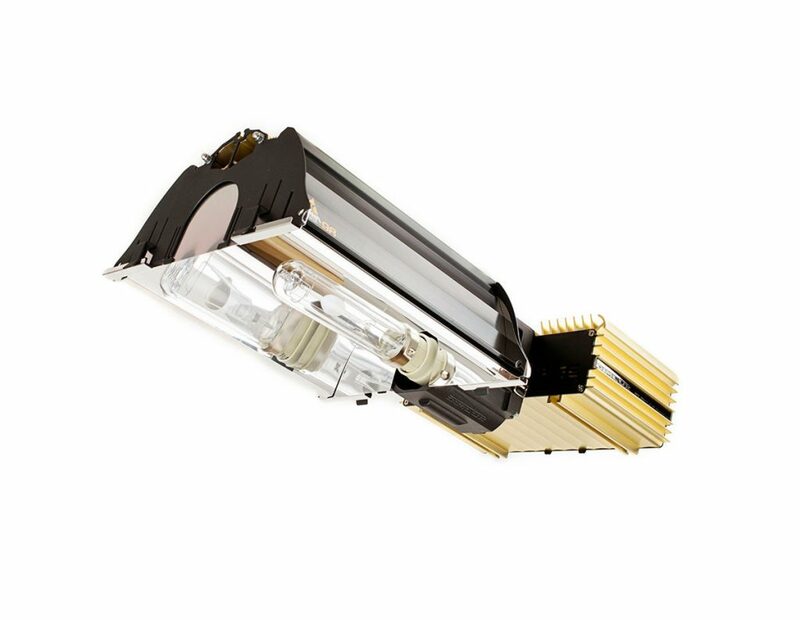 The DimLux Expert Series 315W Full Spectrum is a complete 315W Full Spectrum fixture. The DimLux Expert Series 315W Full Spectrum is a complete fixture including the Alpha Optics reflector. This reflector is designed according to the Single Bounce Clear Sight (SBCS) principle and is equipped with Miro Silver mirrors. As a result the highest possible efficiency (98%) of all available horticulture reflectors is achieved. DimLux Expert Series 315W Full Spectrum. Comes standard with a 2 meter Interlink cable. If a longer cable is needed it must be ordered separately. Dim Button: 7 dim levels and off mode. DimLux Ceramic-Discharge Metal Halide systems (also known as CDM or CMH) deliver a spectrum that is significantly more similar to natural sunlight than standard high-intensity discharge (HID) systems. These state-of-the-art complete lamp fixtures generate a greater level of useable plant light (photosynthetically active radiation) and operate with a blinding intensity that’s immediately apparent to the naked eye. The CDM-TP 315w/930 lamp is optimized for the bloom phase of the growth cycle with enhanced reds. Nevertheless, due to the full-spectrum properties of this lamp it will produce excellent results in both veg and flower. Expect to see increased growth rates, improvement in overall vigor, tighter internodes, and an increase in final weight. 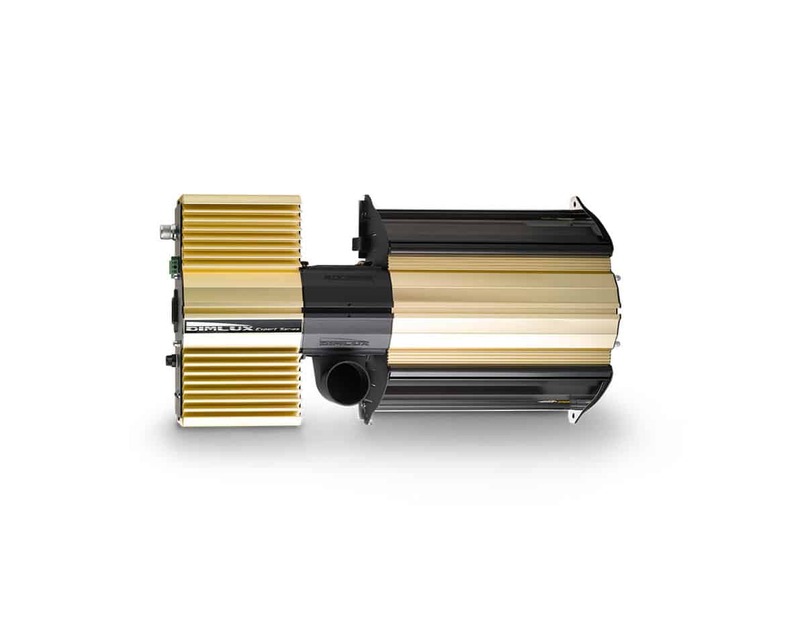 Throughout the growth cycle, from seed to harvest, the effects of the DimLux Expert Series 315-Watt CMH Complete Fixture – 240 Volt will be obvious and ensure all hardware and setup costs are quickly recuperated. 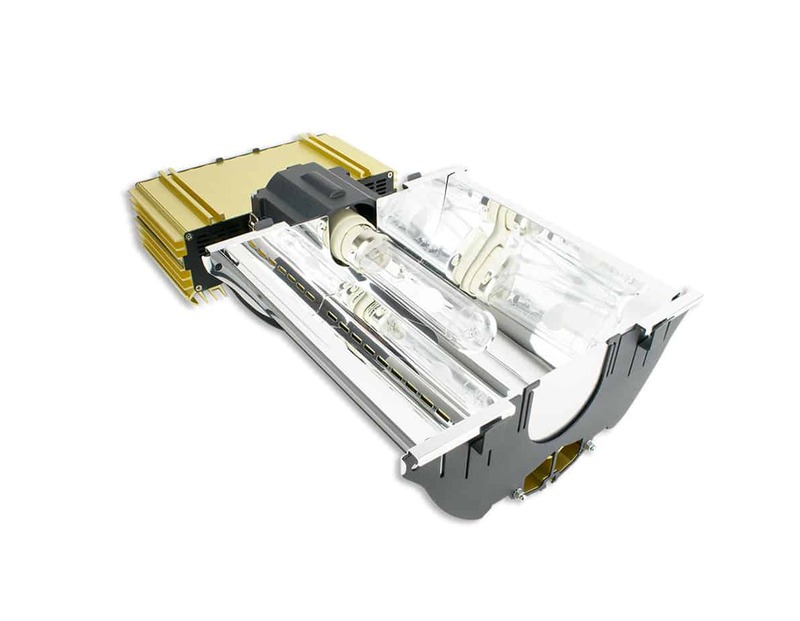 The DimLux Expert Series 315-Watt Full Spectrum is a complete fixture containing the highest quality Alpha Optics reflector, ballast, and lamp. This reflector is designed according to the Single Bounce Clear Sight (SBCS) principle and is equipped with Miro Silver mirrors. The resulting effect is the highest possible efficiency (98%) of all available horticulture reflectors is achieved. This fixture comes with adjustable side reflectors for better overlap and to minimize wall losses. Due to the open design of the reflector, the lamp is passively cooled which is a benefit for the life and efficiency of the lamp. There is a 50mm socket on the reflector which can be used to significantly reduce the room temperature by actively extracting the air. There are also optional add-on reflectors available which be placed to minimize the wall loss even more. This reflector is fully replaceable. Caution: These lighting fixtures, like most all high-pressure sodium and metal halide lamps, are extremely hot when in use and for some time after being shut-off.It is imperative to avoid touching the lamp with anything – especially, body parts like hands and fingers or plant parts such as leaves or buds, as this may cause fire or burns. Additionally, be careful to avoid spraying anything into the light hood, reflector, or on the lamp, as this may lead to permanent damage including fixture failure or even a fire.